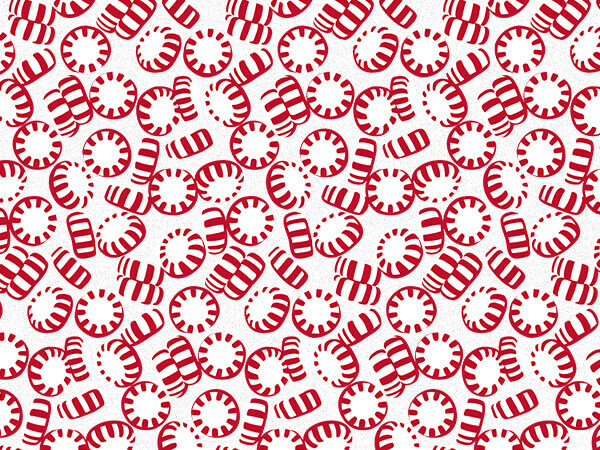 Peppermint Holiday Tissue Paper by the 120 pack half ream feature peppermint candy on white. Tissue paper design printed on recycled paper or paper sourced from well managed forests. Green Way ® Eco Friendly Packaging. Made in USA. Shop Nashville Wraps for exclusive Christmas Gift Bags & Tissue for holiday gift wrapping!